Suited to secure luggage, bags, suitcases, backpacks, etc. 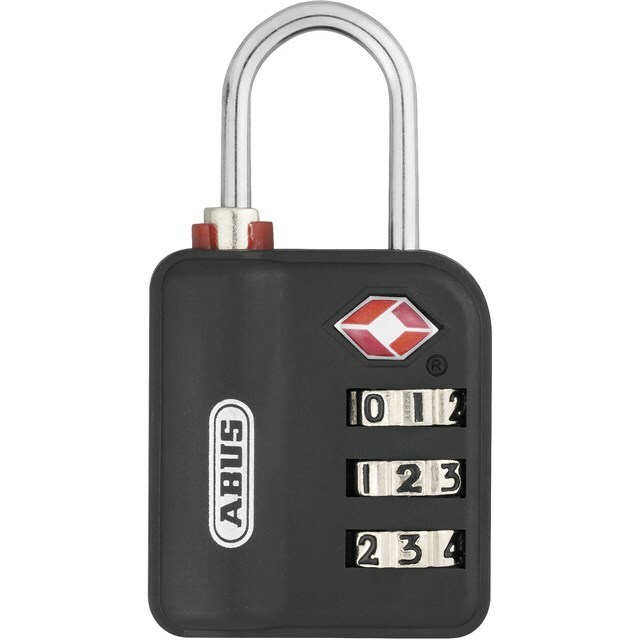 The 147TSA Lock is ideal for travel, especially within the USA because the luggage can be opened with a TSA key by authorities, without damaging the lock. Lock has a red indicator which is visible on the shackle to let you know if it has been opened by the TSA. You can reset the indicator by opening the shackle and turning it 360˚. Features a three-digit, individually resettable code.